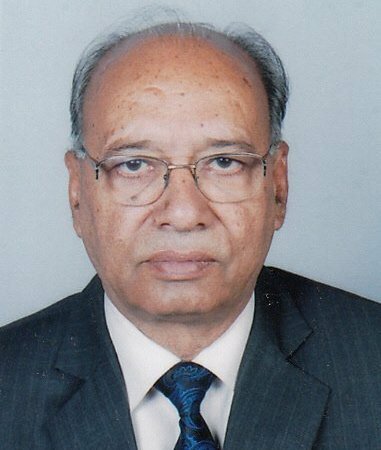 Shri O P Agarwal is the Chairman of JECRC University, Jaipur. He also serves as Chairman of National Society for Engineering Research and Development. He is commerce and law graduate as well as a fellow Chartered Accountant. 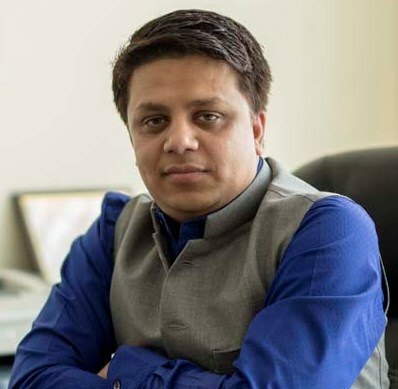 Recently Shri O.P.Agrawal was nominated by the Ministry of Corporate Affairs, Government of India to be a member of the Board of Governors of the Indian Institute of Corporate Affairs (IICA). Shri O.P.Agrawal is the first Chartered Accountant from Rajasthan to be honored with this prestigious membership. He is an educationist, chartered accountant and philanthropist. His perseverance, dedication to work and the guidance and the commitment towards quality delivery has enabled for creation of many centre’s of excellence including some of the highly recognized institutions like JECRC University, JECRC, JECRC UDML College of Engineering and Therachem. He is former President of Rajasthan Tax consultant Association as well as former Vice Chairman of All India federation of tax practioners. He also member of Direct Tax Advisory Committee, CBDT, New Delhi and various standing committee of taxation and auditing . He is panel speaker at the Institute of Chartered Accountant of India, Rajasthan Tax Consultant Association, Tax Consultant Association, FORTI and CII. Shri Amit Agrawal an eminent educationist, thinker and a dedicated social worker, is a man of great vision who is totally committed to the development of technical education and the cause of raising the qualities of life for the betterment of tomorrow. Shri Amit is a man who is highly proud of time tested ethos and culture, having his own ideas of social development. He has his own convictions and capacity to judge each issue and the grid to stand by his principles at any cost, uphold truth and morality. One unique feature of Mr. Amit is total absence of egotism and vanity. He is always easily accessible, unassuming, open to new ideas and he makes a profound impact on any individual group or mass of people who happened to come in contact with him. His profound interest in Indian heritage and culture is well depicted from the fact of his association and participation with Indian artist. Shri. Amit is born in Jaipur. His parents and entire family is a highly cultured and devoted group of people which can be visualized and envisaged from the fact that four generations live under one roof. Shri Arpit Agrawal is a charismatic mentor and coach who takes the leadership position. Shri Arpit Agrawal is a rare combination of a leader and as an executor. His association and net work with the students community is the quality to be admired. His devotion to work and his involvement to the core is something to be inculcated in once working. His passion for education and the necessity towards mankind has always pushed him in devoting his time and energy in understanding the perspectives and providing quality education. Shri Arpit Agrawal is an avid lifelong learner and is passionate and the guiding force in building the University. 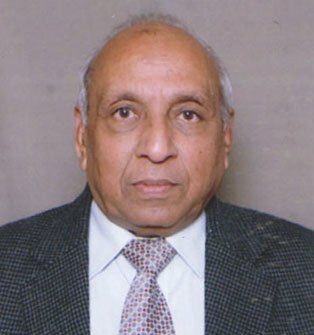 Shri M L Sharma is a retired IRS officer. While serving in the department, he has been rewarded thrice by the Government of India for best recovery and best disposal of cases. He believes in service of mankind and is associated with many charitable organizations such as old age home, charitable dispensaries and Rotary Club. His expertise in dealing with human resources is greatly acknowledged. He strongly feels that the educational institutions should provide ample and be facilitator to knowledge seekers. He is looked upon by the students of JECRC University as a mentor, philosopher and guide. Suresh N. Gupta obtained his B.E. (Distinction) in Electrical Communication Engineering, M.E. (Distn) in Electronics and Ph.D. degrees from the Indian Institute of Science, Bangalore. 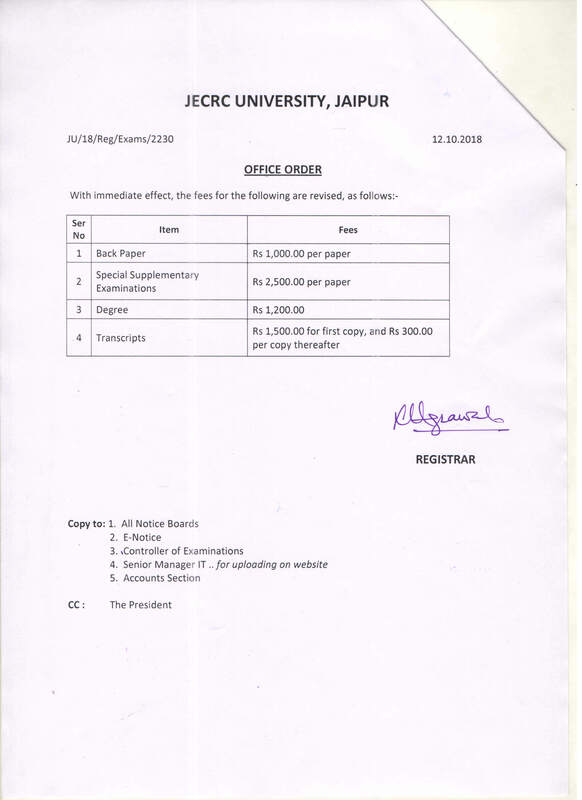 Immediately afterwards, he joined the department of Electrical Engineering at Indian Institute of Technology Delhi as a Lecturer where, in due course of time, had risen to the post of a Professor. He served this institute for 33 years during which he had had one three-year term as the Head of the Department of Electrical Engineering. While at the IITD, Prof. Gupta had taught at both U.G. and P.G. levels and had also supervised doctoral work in addition to carrying out his own R&D work. He had taken very keen interest and had played dominant roles in curricular development, laboratory development, designing of new courses and new M.Tech. programmes for IITD and other colleges also. He had developed and coordinated several short-term courses for teachers of engineering colleges and polytechnics as also for technical staff of several industries and R&D organizations. He also participated in the ‘Teacher-in-the-sky’ programme that was telecast live across the country in interactive mode. Prof. Gupta has published a large number of research papers in journals of highest repute viz., various Transactions of IEEE (USA), Proceedings of IEE (UK), Signal Processing (Switzerland), Electronics Letters (UK), IREE (Australia), journal of IETE (India) and others. He has also been a reviewer of research manuscripts for some of these journals and also of book manuscripts for various publishing houses. He himself has produced about a thousand printed pages of write up on Electronics and Communication topics. He has also prepared a number of laboratory manuals after actually designing, setting, performing and perfecting the experiments. Dr. Gupta has visited, taught and worked at a number of foreign universities including Imperial College of Science & Technology, London., He was also deputed abroad on Government of India collaborative assignment for over a year. He had also visited the British Telecom Research Laboratories (BTRL) at Ipswich, U.K. in connection with R&D and training programme on optical communications. He has participated and contributed as a team member to the development of photonics and telematics as also on the planning of Education & Research Network (now known as ERNET). He was also invited to be a member of New York Academy of Sciences (USA) and American Biographical Institute (USA). He has also been repeatedly nominated for the ‘Jewel of India Award’ and ‘Lifetime Achievement Award’. Prof. Gupta has been a council Member of IETE (India), a member of the Executive Council of Guru Jambeshwar University (Hisar) and a member of Faculty of Technology and Boards of Studies of some Universities. Prof. Gupta has been a member of assessment teams for Government organizations like UPSC, DRDO (RAC), IITs, the then RECs and other colleges and several PSUs like NTPC. He has inspected several colleges including the then RECs on behalf of various universities, boards of technical education and AICTE. He has also been an Organizing Chairman for conduct of GATE examination all over the country on behalf of the Ministry of HRD, Government of India. Dr. Pooran Chand has an outstanding career spanning over 22 years in the field of drug discovery and medicinal chemistry mostly at BioCryst Pharmaceuticals. He is a highly accomplished scientist who discovered several drug candidates in the areas of antiviral, anticancer and cardiovascular diseases. In one of his most noted accomplishment, he has led the research team that discovered peramivir, a broad-spectrum antiviral neuraminidase inhibitor with activity against multiple strains of flu, including the H1N1 virus that causes the swine flu and H5N1 virus that causes the Asian flu. He is also credited for the development of the first synthesis of peramivir at BioCryst. Peramivir was approved for treatment of influenza in Japan under the commercial name RAPIACTA®. Dr. Chand's vast experience and broad knowledge as a medicinal chemist as well as his hands-on management style uniquely qualify him to take on the leadership role and the supervision of projects to ensure the timely delivery and the quality of products. Dr. Chand has a very distinguished scientific track record; he is the inventor of 14 issued US patents and several pending applications. In addition he authored and co-authored 55 publications. Dr. Chand's excellence in drug discovery experience and knowledge rank him amongst the global elites in drug discovery experts and add distinction to Therachem as a company. 1986-1987: Post-Doctoral Fellow, University of Alabama, Birmingham, Alabama with Professor Koop Lammertsma. 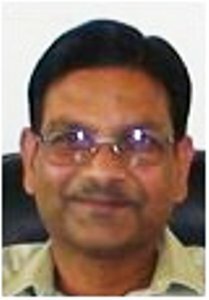 Shri S L Agrawal has vast experience in banking sector and has worked in senior management level in UCO Bank, RBI and NABARD. He has rich experience in front line banking, central banking and development banking. Under his guidance a large number of projects for minor irrigation, farm mechanization, storage gowdowns etc have been implemented. He has worked for improvement in the quality of life for rural masses particularly tribal’s. After having served for a period of 36 years he took voluntary retirement from NABARD as Sr. AGM. Now he is deeply devoted to education management and has obtained expertise in regulatory matters. His qualification is B.Com, LL.B, CAIIB, Acharya (Vaastu). Dr. Widhi Dubey has got 16 years hands on experience in Teaching & Research. She has been Director (Academics) & Principal for one year and Vice-Principal & Department Head for nine years at Mahatma Gandhi Institute of Applied Sciences (MGIaS), a venture of JECRC Foundation. She is an approved research guide at JECRC University and UOR, Jaipur. Dr. Widhi Dubey has completed student research project sanctioned by Department of Science & Technology, (DST) Govt. of Rajasthan. She is also a co-investigator in a DST project and a mentor in one of the project sanctioned by Govt. of India, Ministry of Science & Technology, under the women Scientist scheme (WOS). She has been awarded the Fellow Botanical Society (F.B.S.) in Plant Nemotology by Indian Botanical Society and the fellow society for applied biotechnology (F.S.A.B.). Additionally, she is a member of The International Biographical Centre (IBC)-Leading Scientist of the World, Cambridge, England. 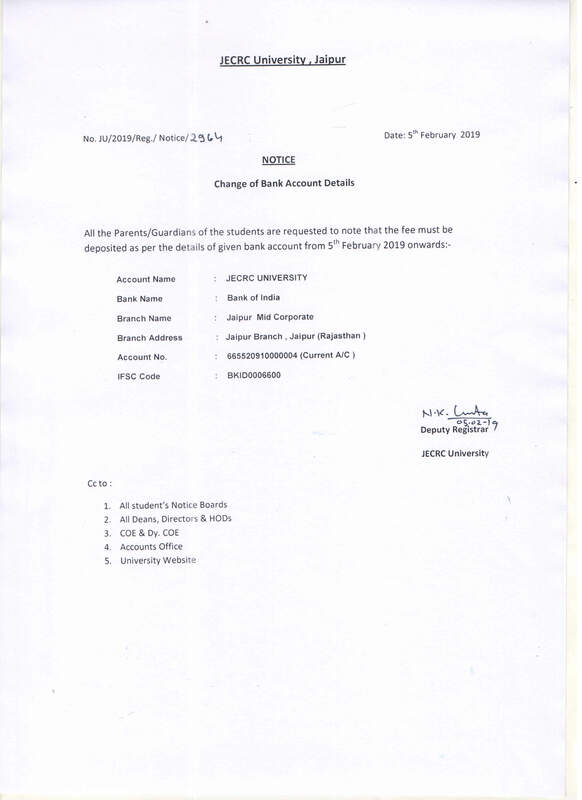 Dr. Widhi Dubey is nominated member (teacher) of the Board of Management (BoM) & Board of Studies (BoS) of faculty of Sciences of JECRC University, Jaipur. She is also member of Research proposal evaluation committee (RPEC) and University Research Committee (URC) for various Ph.D. programs at JECRC University, Jaipur, Rajasthan. Research Areas : Plant pathology; Plant nematology & integrated pest management; Pollen allergy; Antimicrobial and antioxidant activity of plants. 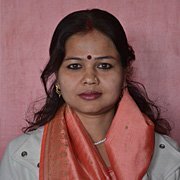 Dr. Sapna Sharma is the Professor in Chemistry at JECRC University at Jaipur, India and is currently working in Department of Chemical Sciences. She is an effective member of Board of Studies for Chemical Sciences at University. Her administrative functions include strategic planning regulatory oversight for Zarurat, an NGO working for “Education for all”. 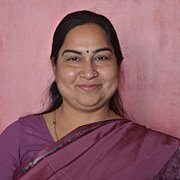 She has also worked as Head, Department of Chemistry for last ten years at MGIAS, JECRC Foundation, Jaipur. She was also convener to the cultural committee at JECRC and effectively coordinated various events including NSS. She has fourteen years of teaching and research experience in Chemical sciences. Research Area: Adsorption chemistry and its kinetics and plants as potential source for removal of various ions from the agricultural/industrial wastes. O P Agrawal is former Chairman & Managing Director of National Textiles Corporation (South Maharashtra), a Government of India Undertaking. He has also been Managing Director of NTC Subsidiaries based at Maharashtra North, Gujarat, West Bengal, Bihar, Orissa and Assam. Mr Agrawal has been on Governing Council of Bombay Mill Owners Association; Textile Association of India, BTRA and on Board of several Companies. Mr Agrawal is currently CEO of leading private sector real estate developer having projects in Gujarat and Southern India. In past, he has been associated with Textiles, Agriculture, Power generation and Infrastructure sector. 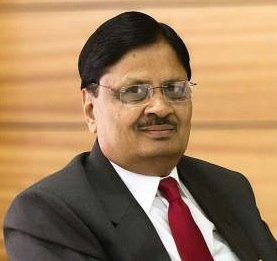 He has had unique opportunity of shouldering key positions in Public Sector as well as leading Private Sector Companies of Indiabulls and Aditya Birla Group during his distinguished career spanning over 30 years. As part of Consulting assignments, he has advised several sick enterprises and has helped in their revival and turnaround. Mr Agrawal holds a degree in Commerce & Law and is Fellow Chartered Accountant. He has keen interest in Education and enjoys delivering lectures on management and taking short stint as Faculty. He has been closely associated with JECRC University right from the conceptual stage. 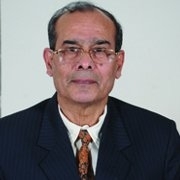 Prof. Dhruva Prasad Mishra has mentored Departments of Chemical Engineering and Department of Environmental Engineering as Professor, Head of the Department. Guided Ph.D students and scores of M Tech students. 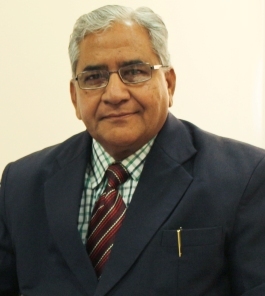 Dr. Mishra has 43 years of academic and administrative experience in academics. Started and established Colleges and run them with exemplary efficiency. Had been founder Registrar of the Technological University of the state of Maharashtra. Established post graduate departments in the University. Helped establish Research Centers in different departments of the University as Dean R & D. Has served as Executive Council and Academic Council and Planning Board member of the Technological University for 12 years. Went to Cranfield University U K under Faculty Exchange Programme for one semester. 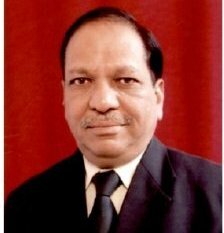 Served as Principal in P Dr VVP Institute of Technology and Engineering, Pravaranagar, College of Pharmacy, Pravanagar and Bharati Vidyapeeth College of Engineering, Mumbai. Offered consultancy services to industries for Effluent Treatment , Simulation and Design, Piping Engineering.